Australia grabbed the honours at this year’s aQuelle Midmar Mile with Kareena Lee claiming victory in the women’s race in a time of 18:20, while her Australian compatriot Nick Sloman took the honours in the men’s elite event in a time of 17:01 – just one second outside the record held by Chad Ho. 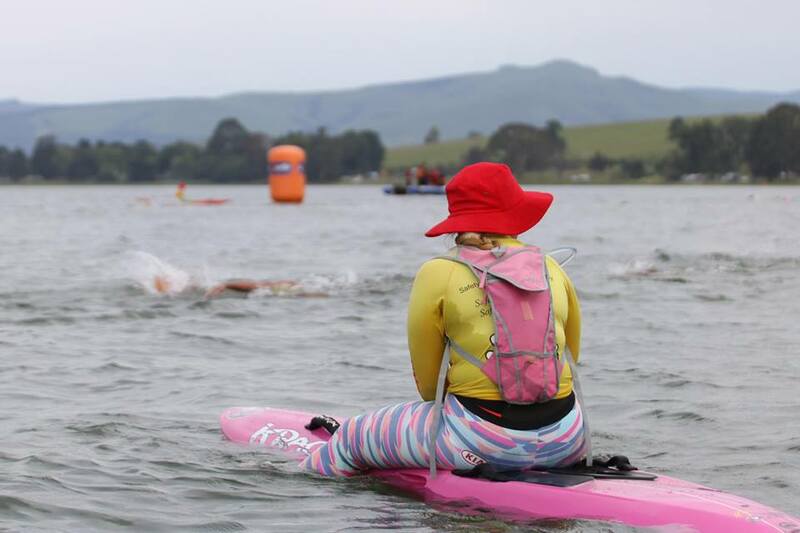 Lee was followed home by well-known South African open water swimmer and former Olympian Michelle Weber in a time of 19:26 with Samantha Randle chasing then home just three seconds further back. Local fans hoping for Ho’s eighth victory were disappointed as the former World Champion finished seventh, 41 seconds behind Sloman in a fiercely competitive field. A close sprint for second went to South African Michael McGlynn in 17:28 with Daniel “Danie” Marais third a second behind. As always with a tough event such as this there are many heroes and successful “war stories” but among those who deserve special praise are aQuellé Midmar Mile legend and one of the race founders, Mike Arbuthnot, who won the 81 plus category in a time of 1:09:22. Team Albertyn were impressive in the family team event on Saturday with Connor Albertyn crossing Midmar Dam in a time of 20:13 to win the Family Relay event whie Kaitlyn Albertyn completed her crossing in 21:06 and Gary Albertyn rounded off the family’s achievement with a time of 21:23. 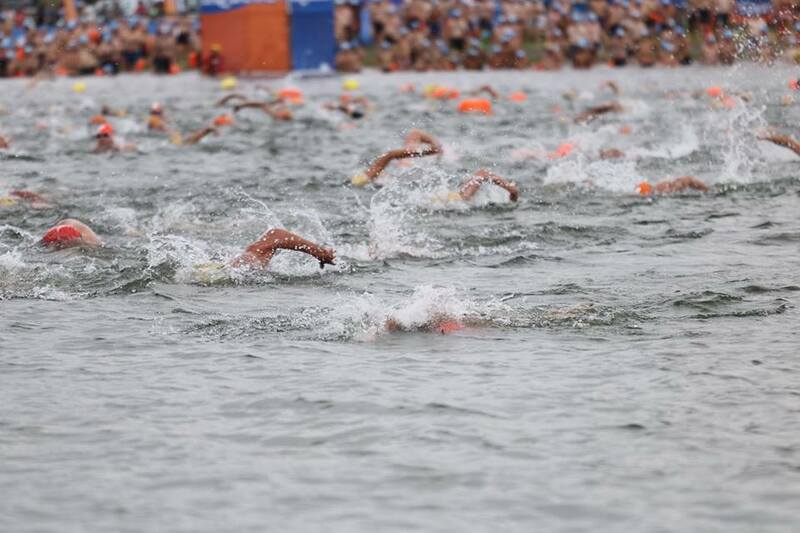 For the statistically minded there were 14 104 entrants and 12 282 swimmers completed the mile swim. 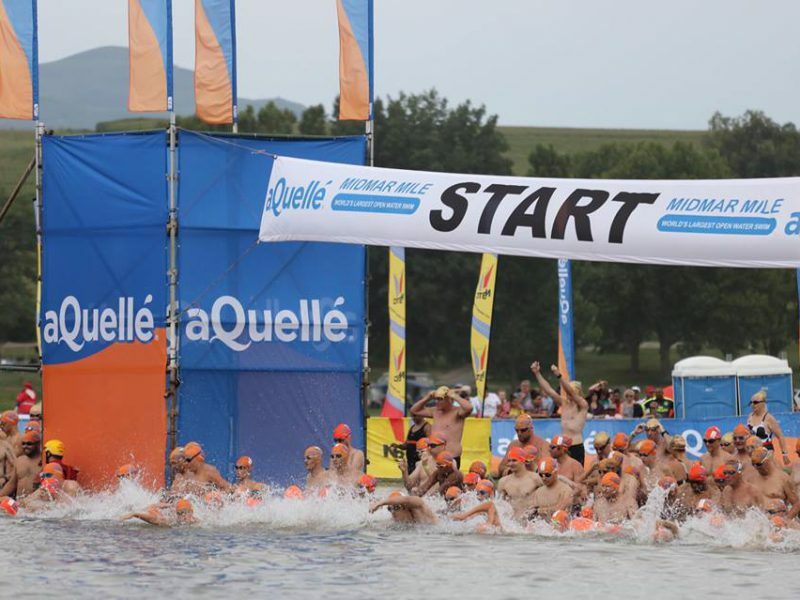 1 639 entrants did not get to the start and just 183 swimmers did not complete the crossing, which means an impressive 98,6% of the starters completed their swim. The biggest event was the Family Relay with 2 657 entrants. 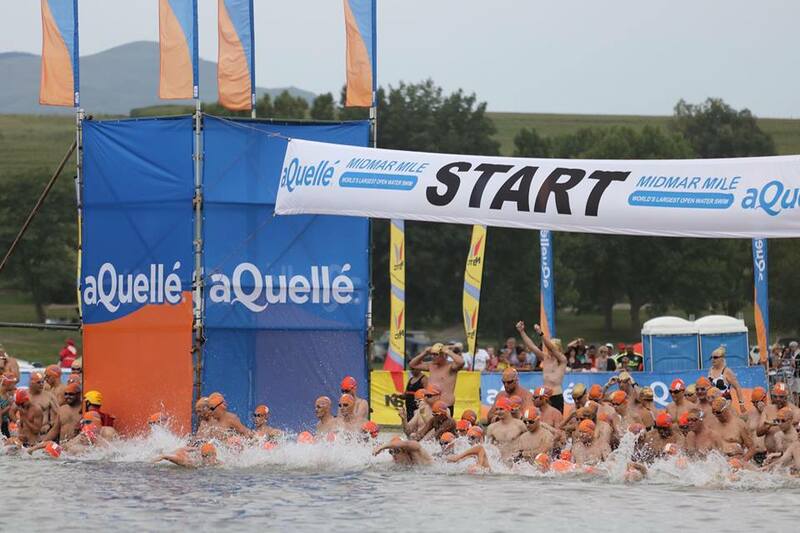 There were 14 swimmers who started the 16-mile attempt and 12 completed the gruelling challenge. Reino von Wielligh won the gruelling events in a time of 5:53:07 with Gary Albertyn second in 6:16:42, with Kaitlyn Albertyn third in 6:24:30. The 8-Mile was completed by 232 swimmers with Von Wielligh’s times from his 16-mile attempt good enough to claim the honours in the 8-mile as well. His combined time for the eight crossing was 2:50:37, just two minutes ahead of Terry Heller.